A year ago after seeing the earlier model thermomix Tm31 at a demo and feeling I couldn’t justify the expense, I bought a pressure cooker as a consolation purchase. At a fraction of the cost, it has served us well making risotto, soups and stews super fast. The Breville fast slow cooker also had a sauté function so it was one pot cooking and also had the prep and walk away factor. Accuracy with measurements were not an issue, I could within reason add more ingredients or meat or rice and the end result more forgiving because the high pressure ensured it’s all fully cooked. So the thermomix had a lot to live up to in comparison with regard to risottos, stews, and soups. 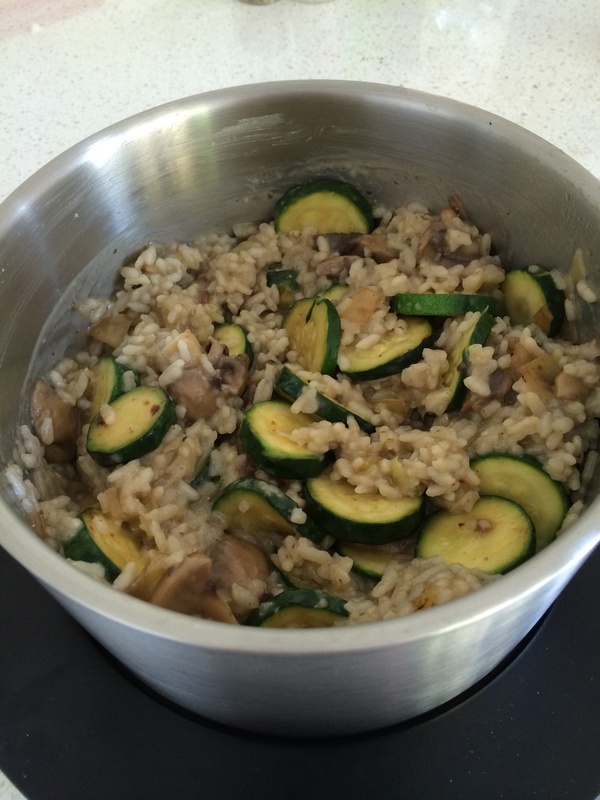 The risotto I made in the thermomix using the guided touchscreen recipe, was slightly undercooked but once left in the thermoserver for a few minutes it completed cooking. On reflection this was most likely because I added more mushrooms and slightly more rice accidentally than the recipe required. The onions could have been sautéed longer than the recipe stated. The kids noticed the onions in the risotto made in TM. I definately saute longer in pressure cooker until onions are browned and softened. All things considered, the Tm5 did a good job with risotto but with a little more expermentation ie sauté longer and cooking slightly longer this will perfect the recipe. I stirred through cooked corgettes after to add another serve of vegetables. Lovely meal and will definately try again.